The Newest member of the Ford family of parts. Omnicraft™ is the newest member of the Ford family of parts. Combined with Motorcraft® , complete vehicle coverage is now available from one source – Ford. 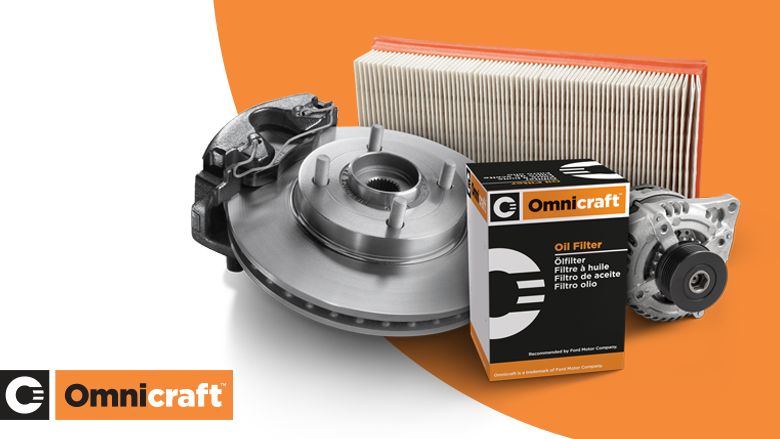 With over a century of parts heritage to build upon, Omnicraft and Motorcraft are quality choices for your car offering the best value. We’ve built our reputation on high quality parts that are priced right. Now, Omnicraft carries on that tradition with high quality replacement parts for all the major brands. Next Day Nationwide Delivery* on all Omnicraft orders with DPD. Omnicraft™ is available at both Lyons of Nenagh and Lyons of Limerick.